An unexpected part of the JCMA collection is a group of 20th century Navajo textiles, given to the Museum by collector Edwin L. Kennedy during his tenure on the Board of Trustees of Juniata College. 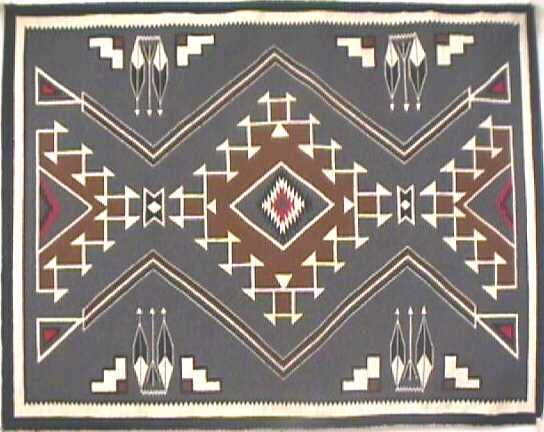 The titles given to the rugs often refer to regional styles and locations near major trading posts, for example, Ganado and Two Grey Hills. The geometric patterns woven into these textiles are often archetypal and symbolic in meaning. Earth, sky, day, night, hills, and canyons are popular imagery.